Compute the x and y components of each of the four forces shown in Fig. P-002. 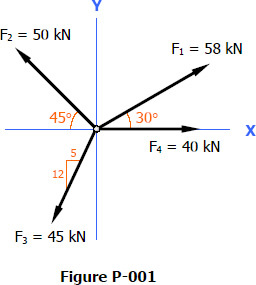 Problem Determine the x and y components of the forces shown below in Fig P-001.